With the recent release of Maximum Volume creating such the buzz on the net, we want to take some time to highlight some of the greatest tracks from this album. “Too Gangsta”, the second track on the album, is one of the bangers that could’ve been a single. With a hard-hitting beat, Txx Will goes-in on the song and doesn’t stop to breathe until the chorus. Featuring a looped sample of Tech N9ne on the chorus, Txx Will says it clear: “I’m too gangsta for TV.” Txx Will and Sticky Icky Entertainment decided not to shop a music video to MTV for this one, but they could have done so if you judge by the content and quality of the song. Covering topics like wanna-be gangsters acting tough on YouTube to being questioned by the police, this is a track that certainly resonates with a wider audience than just Txx Will fans only. But, you may not see Txx Will on TV– why? You’ll find out listening to “Too Gangsta” on Maximum Volume. 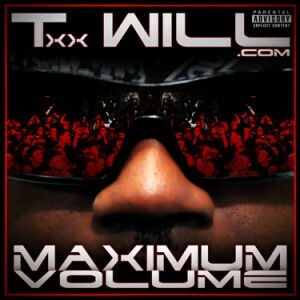 Maximum Volume is now available! Download your copy or purchase a physical CD today!